"Between the patrons and the management there is more to be desired than mere selling; an abiding friendship is valued far above profit" (Rhoads 16). While the above statement, made by the managing partners during the store's early day, may seem a bit impractical, the management held this belief and tried to instill it into employees of Miller & Rhoads. Miller & Rhoads strove to provide quality merchandise at reasonable prices, but more than that, it operated with a strong pro-customer policy. At Miller & Rhoads, the customer was always right. Along with its accommodating service, the store was extremely accessible in many respects. Furthermore, the store provided shoppers with a number of experiences that could be shared and repeated among a broad consumers everywhere. With its accommodating customer service, its accessibility to the common man, its palate of shared experiences, and its assortment of personal concern, Miller & Rhoads unconsciously formed a loyal, consumer community. In 1885, Linton Miller, Webster Rhoads, and Simon Gerhart, upon opening their store, democratized the Richmond shopping experience by adopting John Wanamaker's "one price" system. By clearly marking all goods with a set, fixed price, Miller & Rhoads deviated from the system of haggling then prevalent in Richmond. With this policy, customers could enter the store just to browse; they did not need to be on the defensive. Customers soon became comfortable with the new store as "they discovered that these merchants, in selling at one established fair price, stood firmly behind their goods and truly wished the customer to feel satisfied" (Rhoads 12). This new price system made Miller & Rhoads more accessible to Richmond consumers, as shoppers could now enter a store and expect equality in pricing with no pressure to buy. No longer would a customer have to bargain and settle on a price indicative of his economic status; the shopping at Miller & Rhoads was truly democratic. In making the store even more accessible to the public, the founders implemented a return policy that further eased a customer's comfort in purchasing at Miller & Rhoads. With the theory of the customer always is right, the founders reiterated this idea in their return policy, which allowed shoppers to return items for any reason, no questions asked. This return policy, complemented by the one price for all system, allayed consumer concerns as the public quickly came to view Miller & Rhoads as a company rooted in the quality of its merchandise. With the threats of haggling and the permanent purchase removed, the store made itself so much more accessible than competitors in the minds of Richmond consumers. From a geographical vantage point, Richmond's advent of the first electric streetcar system in the nation in 1888 greatly increased the accessibility of the store from a distribution perspective. With streetcar lines running up Broad Street, Richmonders had a cheap, reliable mode of transport to drop them off at the front door of the accessible Miller & Rhoads. As Miller & Rhoads grew from a dry goods store into Richmond's largest department store, it implemented various technologies that aided its accessible business qualities and made the store accommodating to visitors. Miller & Rhoads was the first Richmond store to install electric lighting, an electric elevator, and an escalator. 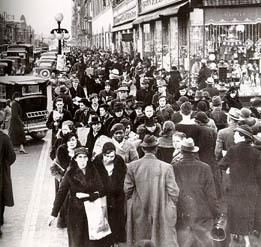 In the 1930's, during the Depression, Miller & Rhoads became the first large store in America to be completely air-conditioned. In the store, Miller & Rhoads maintained a customer service desk that offered a "battery of free telephones, [and] a booth where stamps were sold." With Ford's successful mass production of the automobile, Miller & Rhoads invested in a fleet of delivery trucks that constantly traversed the streets of central Virginia. At the customer service desk, "customer purchases bought anywhere in the city, even at a nearby market, were sent out on [the] delivery trucks, often the same day" (Rhoads 14-15). 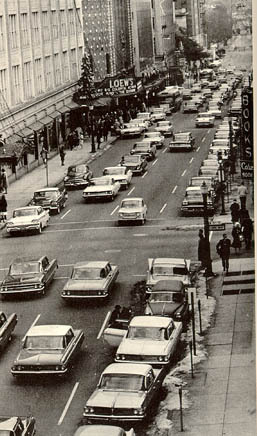 As America's obsession with the automobile became more apparent, Miller & Rhoads constructed its own parking deck downtown and offered complimentary valet parking to its customers. In Miller & Rhoads' attempt to make the store a one-stop shopping experience, "they implanted in the public's mind the images of services" and so accommodated the needs of the public. Miller & Rhoads further strengthened its consumer community by unknowingly providing a number of experiences that the public shared and quickly enshrined as traditions to be repeated time and time again, generation upon generation. On the first floor, a large clock hung above the information desk came to serve as a landmark for Richmonders. The phrase "meet me under the clock" became the unofficial motto for downtown Richmond; there was no question about which clock to meet under. Among central Virginians, this catch phrase was virtually universally understood, and for generations, this motto served as a common navigational tool that so many people could plug into and translate. For Richmond women, arguably nothing more than Miller & Rhoads' Sara Sue brought so many women together into a shared community. Across the region, women sought out Sara Sue to complete their ensembles. Presiding over the second floor Amethyst room, Sara Sue made customized hats for her legions of consumers. As Sara Sue said, "hats complete a costume and make a woman decidedly more of an individual." 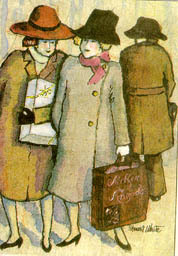 While the custom hats did have an aura of individual uniqueness, the Sara Sue experience was an experience shared by thousands of women. Although Sara Sue retired in 1972, she, with her millinery skill, had served for forty-two years as a bridge that linked countless women to a large community bound by the Sara Sue hat and Miller & Rhoads. Like the town halls of early America, or the churches of rural communities, the Miller & Rhoads Tea Room embodied the sentiments of community. 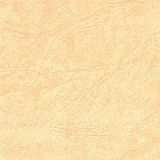 In the Tea Room, business people on lunch breaks, families shopping, young couples, and numerous others all convened in a room that was far more than just a restaurant with good chicken pot pie. The Tea Room served as the Richmond watering hole that pulled together people from all walks of life. In essence, it functioned as a board room, a family room, a rendezvous point, and yes, even a restaurant. As one Richmonder noted, "more business was made in the Miller & Rhoads Tea Room than in the office." The runway addition in the Tea Room served as a bridge between the store and the consumer community. For several decades, Miller & Rhoads models paraded down the runways, talking with lunch-goers about the latest fashions offered in the store. 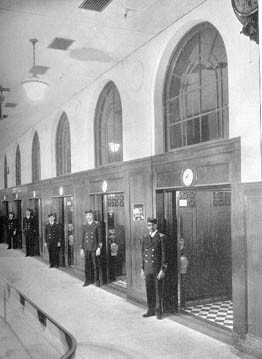 While many women, and some men, watched the model shows, men could gather on the far side of the room in the men's corner. Unfortunately, for much of the Tea Room's early life, the evils of segregation excluded blacks from the Tea Room community. 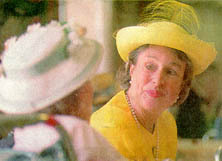 In 1961, Miller & Rhoads integrated the Tea Room and so opened the door for further development of the Tea Room community. While the Tea Room served as a physical locale of community, the "master" of the Tea Room, Eddie Weaver, provided a personal symbol of continuity and, like a local bartender, he was a figure whom the public trusted and shared. 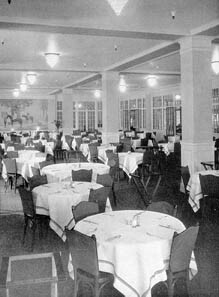 Eddie Weaver, lured from his job at Loew's movie theater, maintained a constant presence in the Tea Room from the 1930's until 1990. Eddie, as his community of fans affectionately referred to him, played the organ and the piano, often at the same time, with adroit skill. 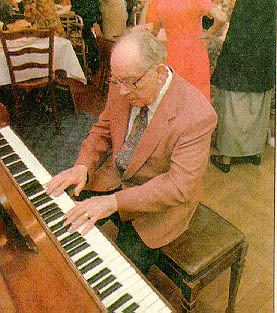 With his talents, he controlled the musical environment of the Tea Room, playing for model shows, playing numerous audience requests, and entertaining the huge Tea Room community. In essence, Eddie was the personal glue that held the Tea Room together. While the women mainly watched the models, the men primarily discussed business, and the children usually relished in the culinary delights, all these groups found a unifying presence in Eddie. With Eddie, customers shared tales of their personal lives and relied on him as a fixture of the Tea Room community. Through the Tea Room, and specifically through Eddie, the public found a place where they could come together. This legacy of the Tea Room greatly contributed to the broad, Miller & Rhoads consumer community. Even today, a mention of the defunct Tea Room elicits universal, nostalgic stories and memories from people of all ages. While the Tea Room, with its platter of shared experiences, played a role in maintaining a consumer community, the Christmas season at Miller & Rhoads fortified the consumer community. By the 1950's, Christmas at Miller & Rhoads had become an established tradition to be repeated annually. When the public thought of Christmas, it almost always included visions of Miller & Rhoads' display windows and of their "real" Santa Claus. For fifty-two years, Addison Lewis held the post of director of window display. During his tenure, Lewis pioneered the art of window display and took his skill to new levels with his Christmas windows. At Christmas time, Lewis and his crew elegantly decorated the street-front display windows with Christmas themes. In keeping with the piety of the Richmond public, at least one window always depicted the nativity, and many others reflected religious themes. For the shopping public, these windows came to be something that drew people to the store; people anticipated each holiday season with excitement and looked forward to the Miller & Rhoads Christmas windows. In fact, the windows were so successful that other national stores flew in people to take notes. The windows existed as something that the public shared and came to expect year after year. The Christmas windows were such an integral part of the Christmas experience, and the public paid close attention to the windows. On one occasion, a customer frantically entered the store, hyperventilating, and exclaimed, "the baby Jesus is not in the manger!" Luckily, employees found the baby and promptly rectified the situation. Clearly, the Christmas window displays pulled together people from all over and drew them into the Miller & Rhoads community. Completing the Miller & Rhoads Christmas appeal was the "real" Santa Claus. 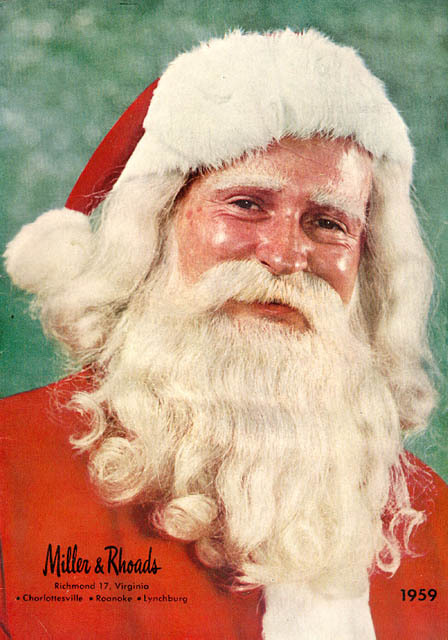 Miller & Rhoads had always featured a typical, Americanized Santa during the holiday season, but after the second World War, the Santa experience completely changed. At this time, Miller & Rhoads hired former Hollywood stunt man William C. Strother to fill the big red suit. Strother brought with him many techniques from Hollywood and made the Miller & Rhoads Santa Claus a symbol of the Christmas season. As Webster Rhoads noted, "His makeup, designed by the famous Max Factor, took Strother about two hours to put on, and he was, without a doubt, the most realistic Santa Claus ever seen. In addition, he devised an act. After appearing out of a chimney, he received children on his lap and, by use of a concealed throat-mike on [the Snow Queen], was able to address each child by name. No act at any theater in Richmond ever drew the crowds, adults as well as children, that flocked to see this Santa Claus appear out of a chimney. Bill Strother not only became the most famous Santa Claus in the history of Virginia, but he was written up in an article in the Saturday Evening Post" (Rhoads 29). Children and adults associated the Miller & Rhoads Santa with the "real" Santa Claus, and continued to visit him until the store closed. Visiting the store's Santa and eating lunch with him in the Tea Room became a tradition as parents who had sat on his lap in the `40's brought their children to see the "real" Santa. Miller & Rhoads' Santa was something that thousands of consumers shared and loved. Buses from as far away as North Carolina brought children to see the legendary Santa; there were even visits from families that had moved to Texas and California. Santa Claus truly completed the Miller & Rhoads Christmas experience that brought a large, consumer group together into a community at Miller & Rhoads. "I was a senior in college that spring, planning to graduate in May, and looking forward to my wedding in July, 1973. Unfortunately, my mother was diagnosed with cancer that spring. She was determined to go through with my wedding in July and many times I think that goal kept her going through many tough times. During that time we would need to shop for items for the wedding. When my mother was well enough, we would make the two hour trip from my hometown to Miller and Rhoads. On the top floor of the store there was a medical center for the employees with a nurse. The manager of the store would let my mother go and rest on the bed that they had there. Then I would run from floor to floor bringing her items that we needed to purchase for the wedding. From that bed, she directed how my veil should look, picked out her dress for the wedding, and helped pick out the maid-of-honor dress. No one ever questioned my story, every time that I would ask to take items to the top floor. They even brought her favorite meal (chicken pot pie) from the Tea Room. Everyone was so kind. The bridal consultant even called the week after my wedding to see how my mother was feeling. My wedding day was the happiest day of my life, though bittersweet....[My mother] was able to wear the lovely blue dress we had picked out from Miller & Rhoads that day. Six days later, she was buried in it."